I am now in the second year. To date I have made four instruments, 3 are set up and varnished and one finished in the white. I also made two instruments as joint projects with Robert Stepp and one with Sam Brouwer. 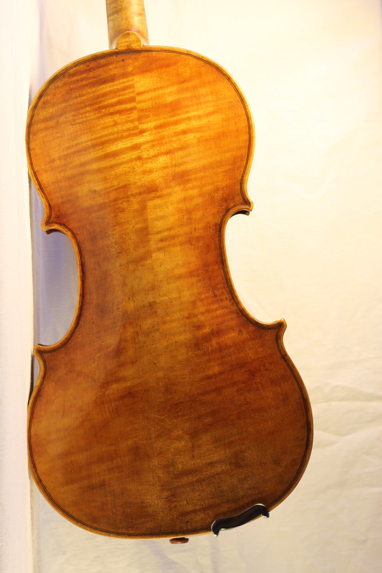 I am currently working on a viola. Another aspect I have really enjoyed have been my four work experience placements, focussing on a variety of areas including set ups, bow rehairs and new making. These have set the standard I am aiming for in my future professional development. 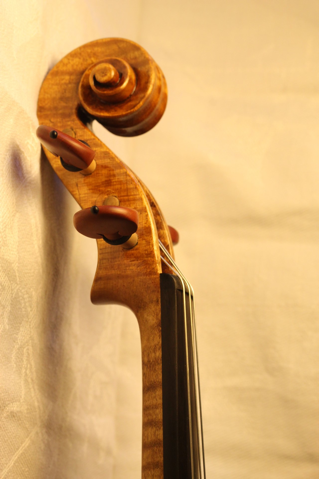 In my final year I plan to make a cello. 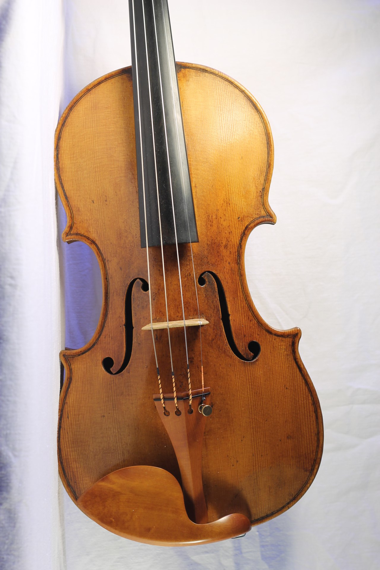 It is also my goal to make as many violins based on a range of different models as possible, because my long term aim lies in achieving the best sound I can, and I want to have many instruments to experiment with. I also plan to continue the joint projects for the foreseeable future. This year I realised how important these are. 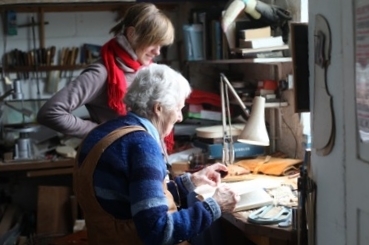 Working with other makers not only pushes me to work at a higher standard, but also forces me to examine closely every aspect of the making process, as it must be discussed and agreed upon with all involved. The models we chose to make are not covered on the course, so a great deal of research and planning was involved with the new styles and techniques. I find this collaborative way of learning very effective.